S (Scripture): Romans 4:9 Is this blessedness then for the circumcision or also for the uncircumcision? For we say, “faith was credited to Abraham as righteousness.” 10 How then was it credited to him? Was he circumcised at the time, or not? No, he was not circumcised but uncircumcised! 11 And he received the sign of circumcision as a seal of the righteousness that he had by faith while he was still uncircumcised, so that he would become the father of all those who believe but have never been circumcised, that they too could have righteousness credited to them. 12 And he is also the father of the circumcised, who are not only circumcised, but who also walk in the footsteps of the faith that our father Abraham possessed when he was still uncircumcised. O (Observation): In chapter 4, Paul opens up a diatribe directed towards the Jews. He makes references to Abraham and David, important figures to Jews, but who mean nothing to the Gentiles. Now, a big deal for the Jews was the outward sign of the covenant between God and God’s people. God declared to Abraham that God would make out of Abraham a great people, and kings would come from his line of descendants. The people of Abraham, in return, would then circumcise their male children as a sign that they are God’s people. After all, God commanded that the people circumcise their male children as a sign of faithfulness on the people’s part. Over time, circumcision was seen as the work of the people to show their dedication to God. But also, circumcision became this sort of entry into God’s covenant without any real impact on the life of God’s people. They basically started taking God’s grace for granted. They began to think that if one was circumcised, one basically had a free ticket to Abraham’s lineage and that one who was circumcised could do no wrong. And then, eventually, circimcision became the EXCLUSIVE way to God’s grace. The Hebrew people took circumcision as the “be all, end all” sign of God’s grace. They began to believe that the only way to God’s grace and inheritance was to be circumcised, to the exclusion of all other ways and people. The prevailing mindset of the Hebrew people became this: Gentiles were CERTAINLY not ever going to be a part of God’s family. So, when Jesus and Paul started challenging this idea of the exclusive availaiblity of God’s grace, this was a major challenge to the theology and customs of the Hebrew people. Paul is making the case that Abraham wasn’t circumcised when he was graced with God’s promises. The circumcision was simply an outward sign of an inward grace. Circumcision was the result of receiving God’s grace, not the cause of receiving it. Paul was calling on the Jews to humble themselves and to give some thought to the idea that grace and blessing are possible outside of circumcision. A (Application): Churches these days have all kinds of odd customs to make people feel like they are part of the church (or NOT part of it). Some are new customs, but even ancient rites seem to lose their impact. As sacred as it is for me, I wonder if those not of the Christian faith view baptism today just like Gentiles viewed circumcision back in Paul’s day? I hope not! But then, I wonder. Circumcision back in Paul’s day is not the same thing as baptism, but I can see how it might be viewed this way. As if baptism was the exclusive way for God’s grace to work. I have spoke about this before, how we as Christians can start to use our baptism like Jews used circumcision: as a tool of exclusion and as something we take for granted! We practice making people feel welcome in our congregation, even though I’m sure we fall short. But we really try to help people feel welcome, even if they have not been baptized. 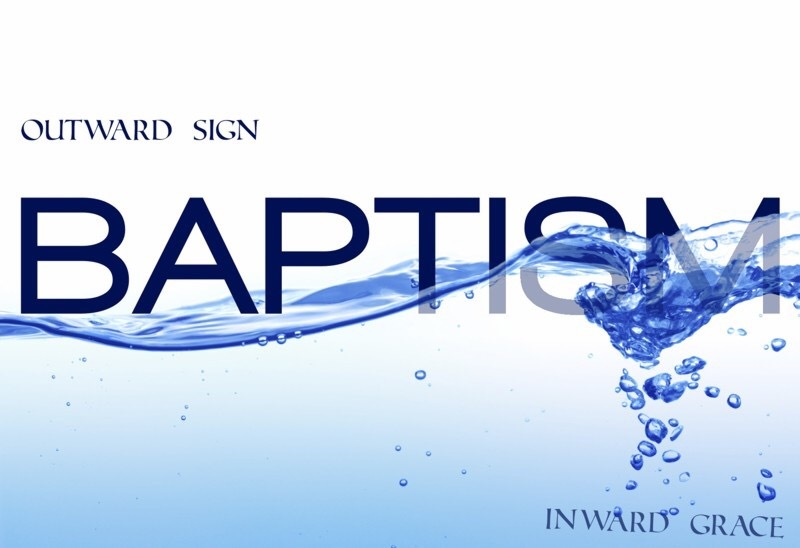 We view becoming a part of our congregation as an exploratory journey towards baptism. Some will be baptized and receive God’s Spirit in this way, but I have to believe that God can instill faith in other ways, too. God continues to surprise us all (as seen in Scripture and in my own personal experiences). To narrow down God’s avenues of grace is dangerous territory for me (or anyone). So, should we get rid of baptism? Certainly not! Is baptism still a good thing? Absolutely! So let us treat all people with respect. Let us be diligent in not taking baptism for granted. Let us be forgiving as God forgives and graces us. What “hang ups” do you have about the Christian Church these days? P (Prayer): Lord, help us to be grateful for your grace. Amen. This entry was posted in Digging Daily and tagged Baptism, Circumcision, Grace, Granted, Paul. Bookmark the permalink. Michael, you are “spot on”. I’m afraid that the “church” sometimes becomes an exclusive club that people have to” know” certain things and “do” certain things in order to become a member. An outsider feels just like that…an outsider who has no idea what they must or must not do in to belong. Jesus didn’t set up shop (a church) and then invite people to attend ….He went OUT into the world , meeting the people where they were…telling/showing them God’s indescribable love for them. Thanks for the affirmation. We use a mantra of UP-IN-OUT to remind us that we are called to spend time with God, with fellow disciples, AND with strangers / neighbors.